Danish researchers studied the relationship of height and stroke development and found that short height in children is a possible marker of stroke risk.“Our study shows that a short height in childhood signals increased risks of stroke decades later in life as adults,” said senior author Jennifer Lyn Baker of the Center for Clinical Research and Prevention at Bispebjerg and Frederiksberg Hospital.Their findings have been published in Stroke. A prospective study examined data on more than 300,000 Danish schoolchildren – born between 1930-1989 who were examined at ages 7, 10 and 13. Researchers noted that boys and girls who were 2 to 3 inches shorter than average for their age were at increased risk of clot-related (ischemic) stroke in adult men and women and of bleeding stroke in men. While adult height is genetically determined, it is also influenced by factors such as maternal diet during pregnancy, childhood diet, infection and psychological stress. 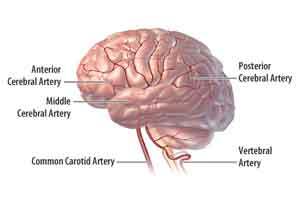 Several of these factors are modifiable and all are thought to affect the risk of stroke. Researchers noted that a decline in stroke incidence and mortality rates in most high-income countries, primarily in women, occurred simultaneously with a general increase in attained adult height. Taken together, this suggests the involvement of shared underlying mechanisms for height and stroke development. Researchers say these results have implications for understanding disease origin rather than for clinical risk prediction and future studies should focus on the mechanisms underlying the relationship between childhood height and later stroke. “Our study suggests that short height in children is a possible marker of stroke risk and suggests these children should pay extra attention to changing or treating modifiable risk factors for stroke throughout life to reduce the chances of having this disease,” said senior study author Jennifer L. Baker, Ph.D., associate professor in the Center for Clinical Research and Prevention at Bispebjerg and Frederiksberg Hospital and Novo Nordisk Foundation Center for Basic Metabolic Research, Faculty of Health and Medical Sciences, at the University of Copenhagen, in Denmark.